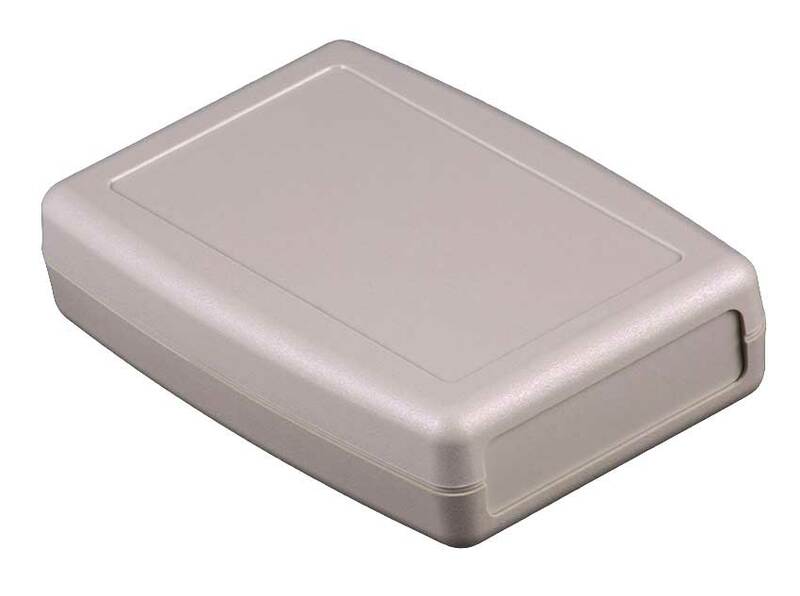 The 24TB/P plastic enclosure measures 1.00" x 2.50" x 4.00" and has 7.8 cubic inches of internal space for your electronics. The case is designed with pc board provisions and has a removable end panel for easy installation of your electronics. The ergonomic design features rounded corners and curved contours which will allow it to lay in your hand comfortably or you can drop it in a pocket when it is not being used a handheld device. 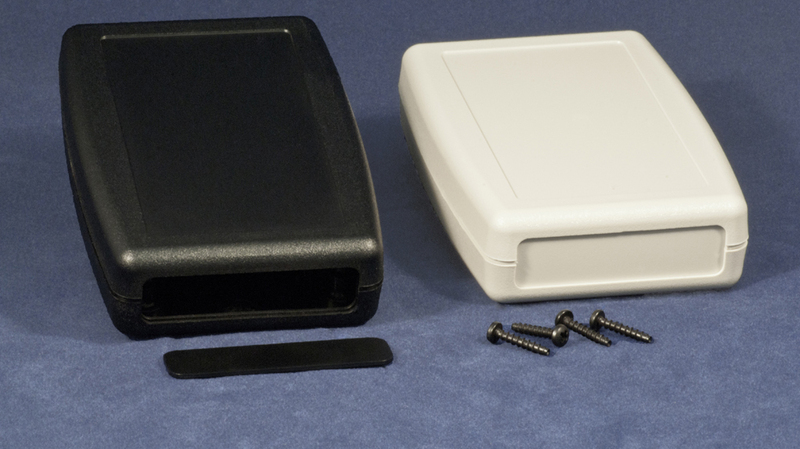 This enclosure is also suitable as a smaller handheld enclosure when a larger one will not do. It also features a slightly recessed area for key pads, overlays, etc. It is textured to resist scratching and scuffing. 24TB has flat top and bottom without battery access or removable panel. The 24TB/P case is made from high quality ABS plastic. To request 3D Drawing Click here. This file is in a PDF format. This is the drawing for the 24TB with drop-in end panel.